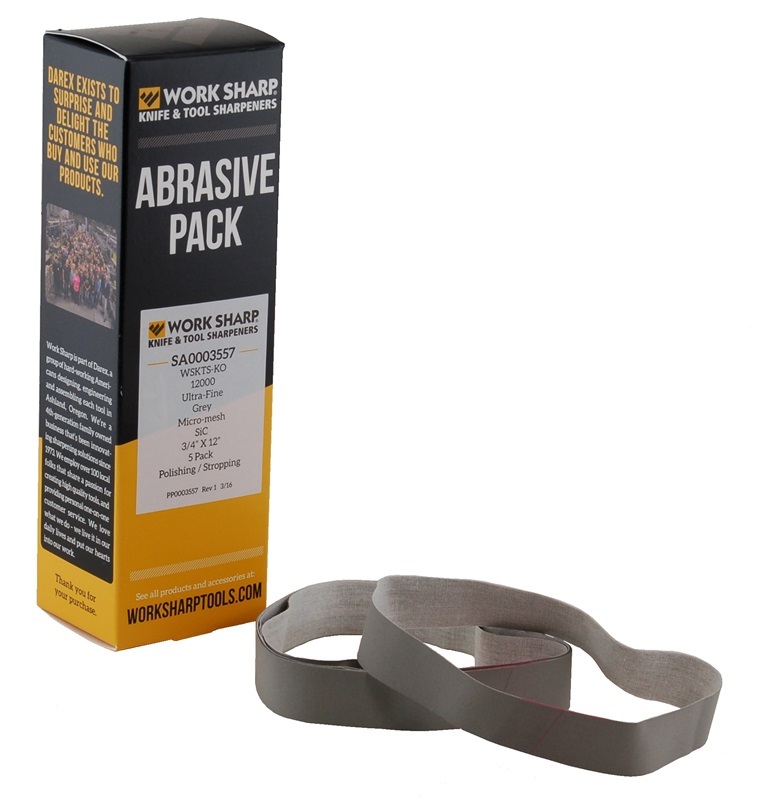 These premium grade, engineered abrasives are long lasting and designed for knife & tool polishing and stropping applications. Includes five belts. Kit includes five of the 12,000 Ultra-Fine Grit Micro-Mesh Belts. Belts are 3/4" x 12" and ONLY fit the Ken Onion Edition Knife Sharpener. Q. 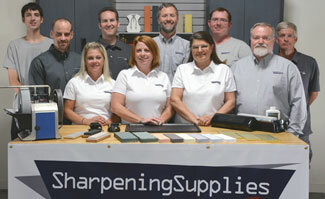 Will these belts work on other Worksharp sharpeners? A. No, these belts are sized for the Ken Onion Edition only.